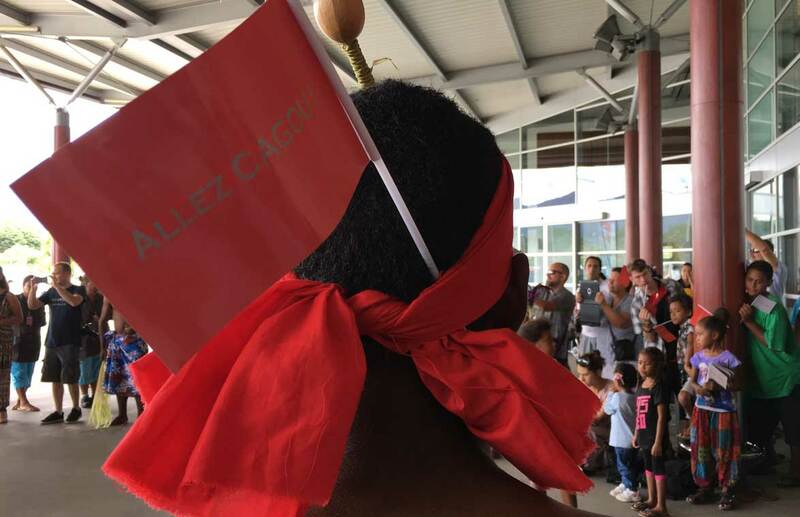 Having only ever had France as the closest thing to a national team to follow in the FIFA World Cup, New Caledonia football fanatics now have a side of their own heading to the world stage. For so long Les Cagous have finished runners-up at all levels of football competition but thanks to the increased number of places for Oceania at men’s youth tournaments, the mini-Cagous are on their way to the FIFA U-17 World Cup in India. An occasion friends, family and football fans from across the country were able to celebrate at the weekend when the heroic side made their return. Federation Caledonienne de Football President Steeve Laigle was among the dozens who turned up at Tontouta Airport to welcome the side home. “It’s an historic day for us, a first for New Caledonia,” he said. “These young players, these “Petits Cagous” have registered themselves in the history books. They’ve grown up and they’re going to change the face of football in New Caledonia. FCF Technical Director Dominique Wacalie couldn’t contain his excitement at the achievement of the young side, especially as a former international himself knowing how difficult qualification for a FIFA event can be. “I was incredibly emotional when I saw the final score,” Wacalie said. The New Caledonia U-17 team will represent Oceania alongside New Zealand at the FIFA U-17 World Cup from 6-28 October 2017 in India.